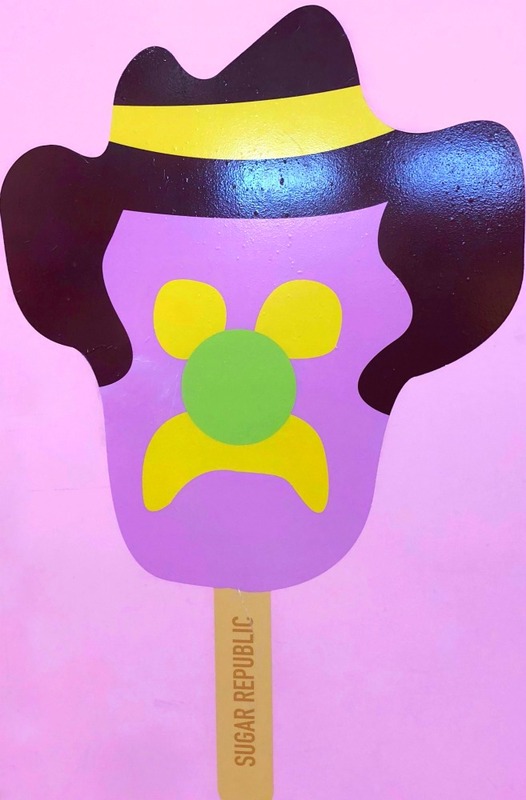 Our visit to Sugar Republic in Melbourne was such a sweet surprise! 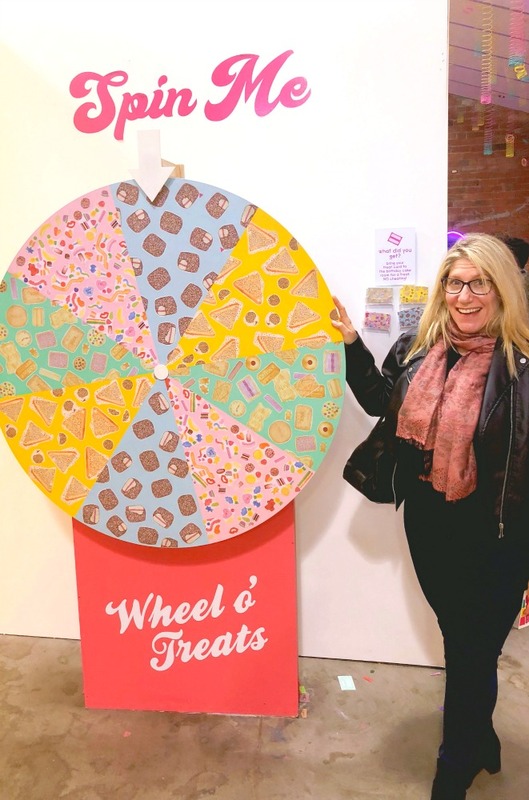 If you scream for ice cream, are crazy for cookies and believe that there’s no such thing as too many sprinkles, I think this is the exhibition for you because it was definitely the exhibition for me! Sugar Republic reminds me of a slightly smaller, more Australian version of the Museum of Ice Cream I visited in San Francisco. 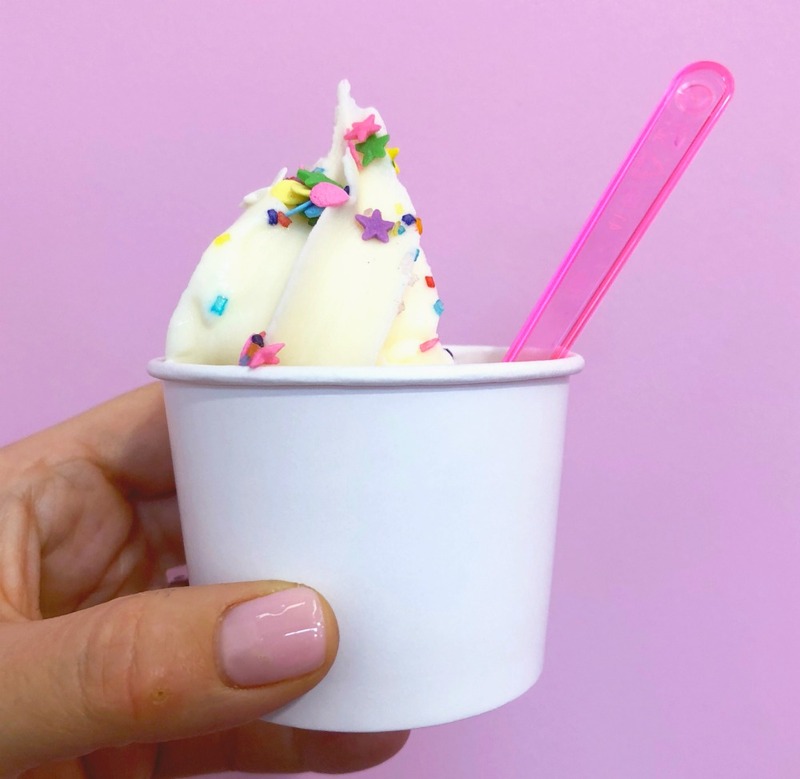 Just like the MOIC, it’s hands on, it’s fun for adults and children alike – it’s sweet and there’s treats! Tickets have a timed entry and that’s for good reason. Controlling the number of visitors ensures more play time and less wait time at the exhibits for everyone so it pays to be punctual. 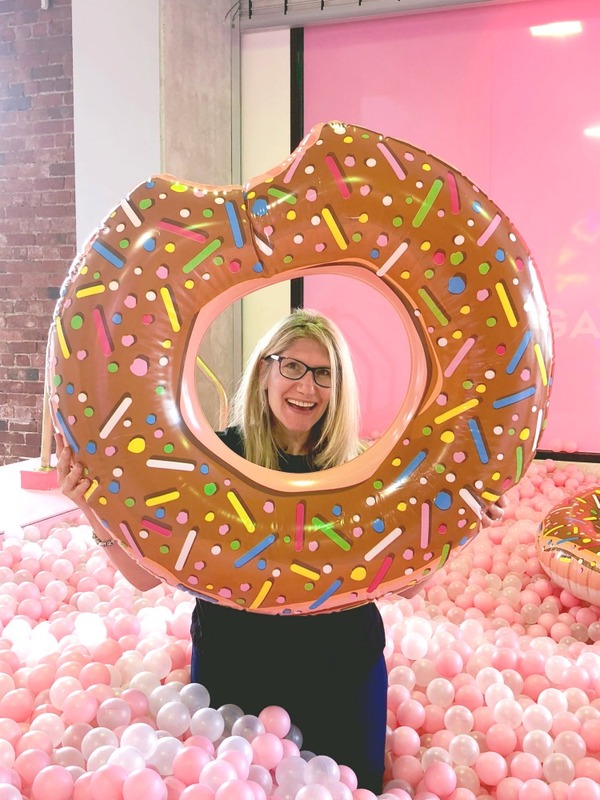 Without further ado, let me take you on a virtual tour of my sugar high-lights reel! Our first stop is the Wheel O’Treats. Spin the wheel, collect your card and save it for later – because you’ll want to redeem it in the Birthday Cake Room. In case you’re wondering, I spin an Arnott’s biscuit and David gets a lamington! Don’t cheat though, because that’s not sweet! 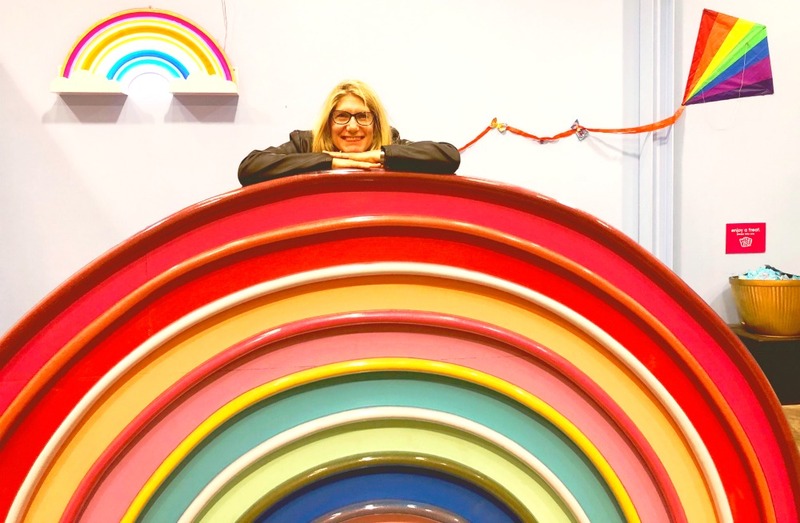 You can climb inside a giant gum ball machine (complete with enormoballoons) but smallish spaces aren’t my thing so I head straight for the sherbert filled rainbow bridge which is much more my style! Every visitor receives some sprinkle stickers upon entry and we waste no time in making our mark on the interactive sprinkle wall. So many sprinkles and so many visitors! There’s a swing in the fairy floss room, not unlike the one in the Museum of Ice Cream but I’m not sure it will take the weight of all my Melbourne indulgences. I might pass on the swing but I’m all over the artwork. 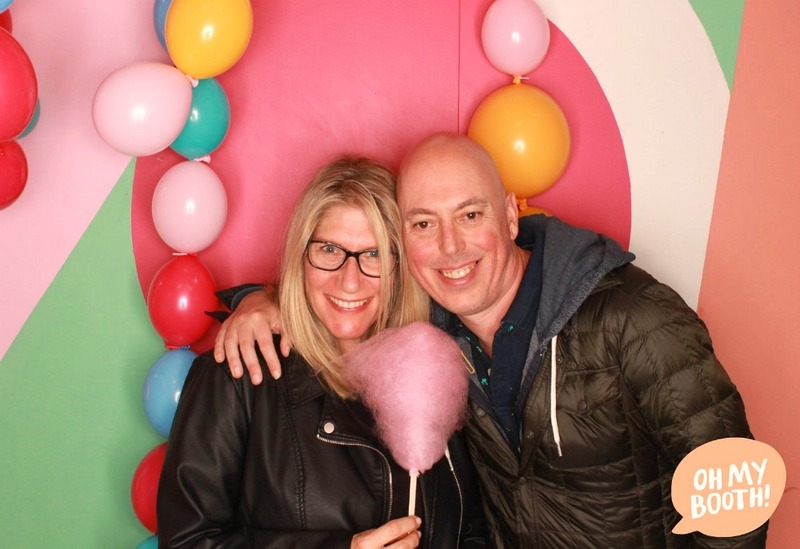 I’m rather keen on the fairy floss photo booth where a sweet Sweet Republic team member snaps a sweet shot, and not only do we get our photos to take away but we get an email copy too! Side note: that fairy floss is delicious! I think the birthday cake room is my favourite. 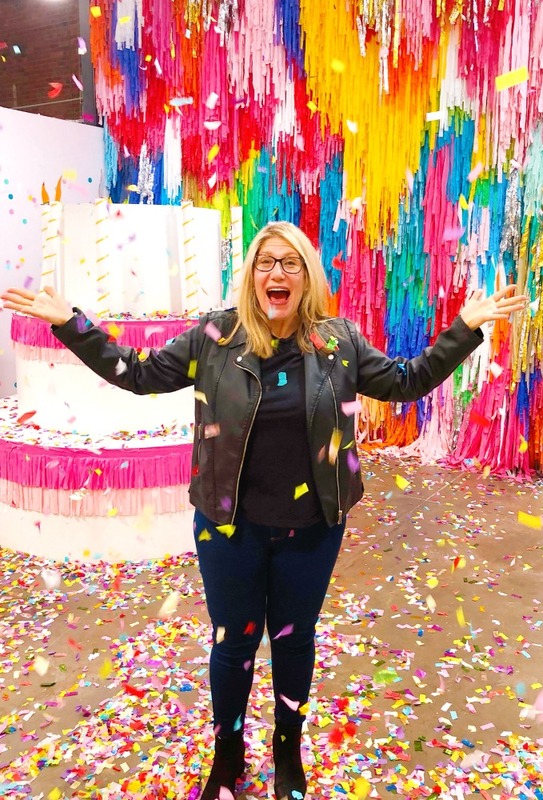 I’m so excited about the confetti situation (and claiming my free Vovo) that I forget all about jumping out of the giant birthday cake! 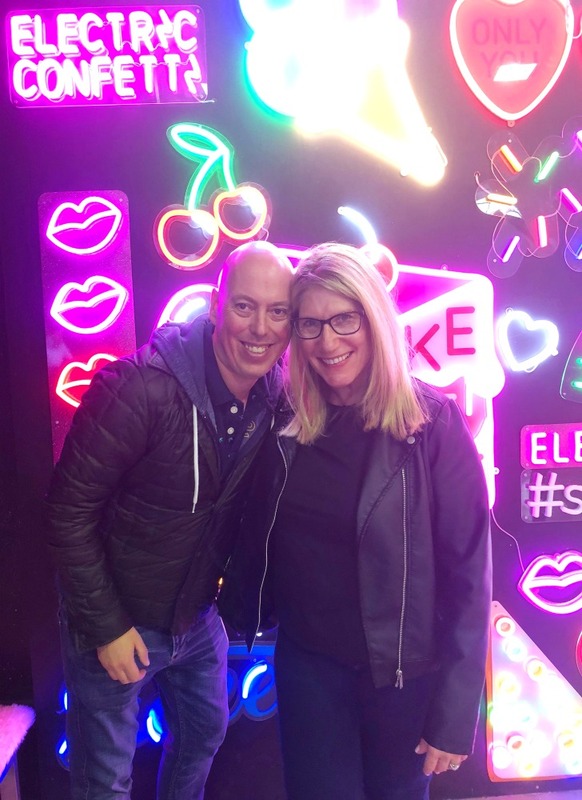 There’s a larger than life traditional lolly shop you can play in (and taste the lollies too) but we only have eyes for each other and Australia’s first neon art wall. It’s just fabulous! 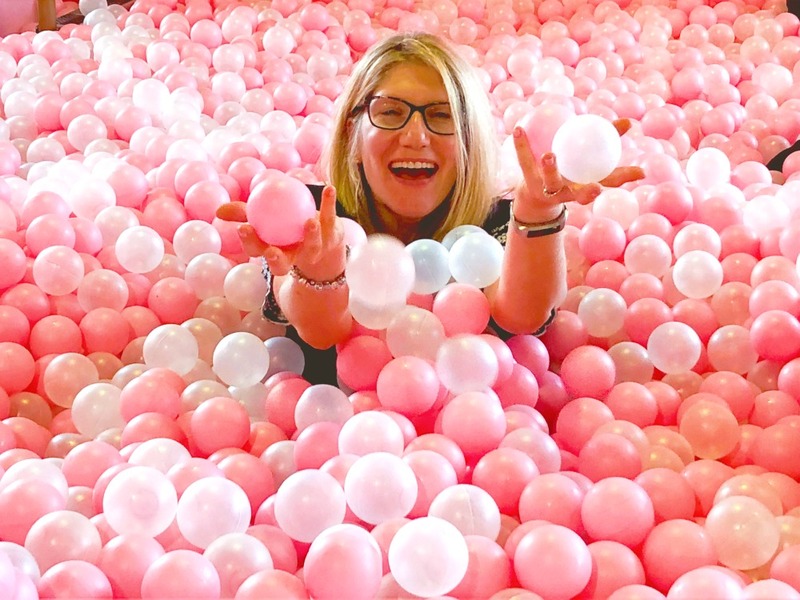 However, the highlight for me, is the pink and white ball pit which is the sweetest fun of all! There’s a limited number of people in the pit at any one time so there are plenty of opportunities to snap the perfect pic and there’s plenty of time too. It’s just amazeballs. Who says ball pits are just for kids?! 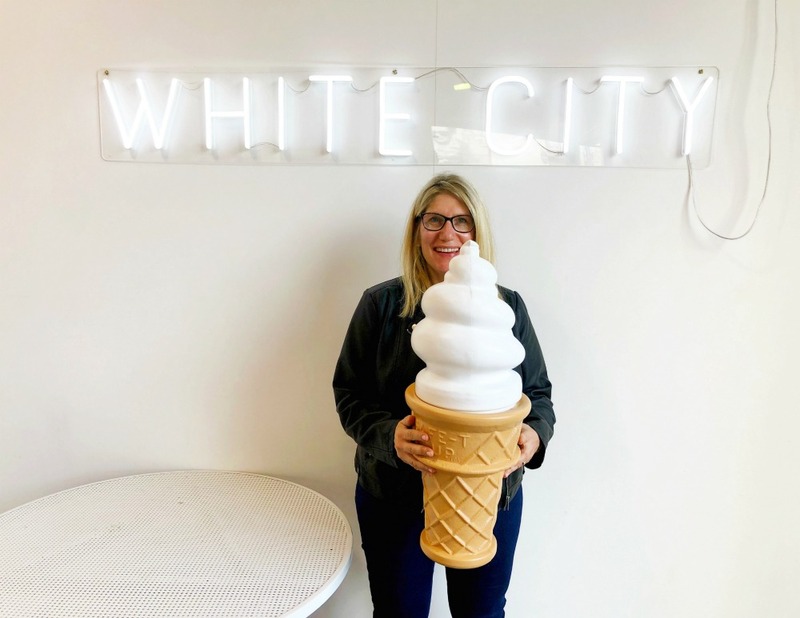 Another favourite of mine is White City which is actually on the site the original MacRobertson’s confectionery factory, home of the Cherry Ripe and Freddo! The factory complex was painted a fresh white and that’s how it got the name White City. Even the workers wore white uniforms (to perpetuate the image of cleanliness) and MacRobertson himself wore a white suit and hat and rode in a carriage pulled by two white ponies! I then get to serve my own soft serve ice cream and decorate it with sprinkles which was a very n-ice ending to a sweet afternoon indeed. There’s so much more to Sugar Republic but these are definitely my sweetest spots. This is definitely an exhibition best enjoyed with friends, a camera and your inner child running free! 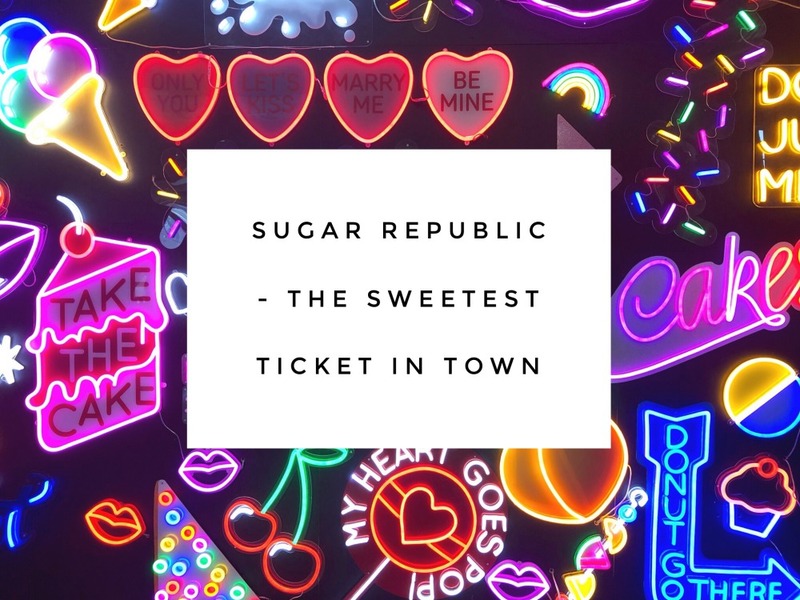 Unfortunately, Sugar Republic has wrapped up in Melbourne but the good times and the sweet stuff is rolling in Brisbane! Check out the FAQs for all the sweet deets! So tell me, do you have sweet teeth? Which of these exhibits tickles your fancy?